Boston, MA, USA – September 9, 2016 - Boris FX™, the leader in integrated VFX and workflow solutions for video and film, has signed a definitive agreement to acquire GenArts Inc., developers of premium special effects plug-ins. GenArts’ renowned flagship product, Sapphire™, is a gold standard for high-end visual effects creation at leading film studios and broadcast facilities around the world. Since 1996, Sapphire effects have been used in at least one of each year’s VFX Oscar-nominated films, and numerous award-winning television shows. 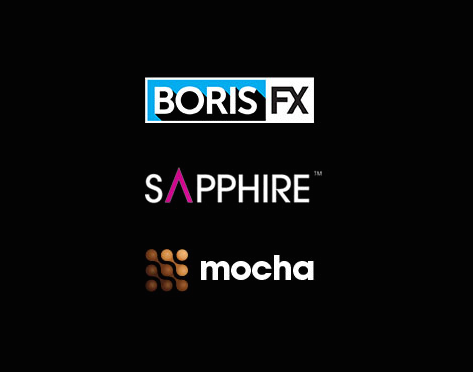 Sapphire will continue to be developed and sold in its current form alongside flagship products Boris Continuum Complete™ (BCC) and Mocha Pro™, creating the industry’s most powerful complement to applications from Adobe, Apple, Avid, Autodesk, Blackmagic Design and others. The acquisition is part of Boris FX founder Boris Yamnitsky’s aggressive growth strategy. Boris FX most recently acquired Imagineer Systems, the UK-based developer of Mocha: Academy Award-winning planar tracking tools. The Sapphire team agrees on the value the merger will bring to the industry. “I’m excited about what a combined Boris FX/Imagineer/GenArts company can create,” states Gary Oberbrunner, Chief Scientist and VP of Engineering at GenArts. “We are impressed with the collaborative integration of Mocha technology in the recent BCC10 release and look forward to exploring similar technology sharing and product improvement opportunities.” Oberbrunner continues, “All of us share a passion for innovation, quality and creativity. Combining resources and knowledge, and working with our amazing customers, will enable us not just to continue the pace of innovation we’ve had separately, but to move even faster, creating entirely new effects, tools and combinations to delight our users.” Oberbrunner will now join the Boris FX senior management team as Chief Technical Officer for the combined group. Attendees visiting the IBC tradeshow in Amsterdam will have the opportunity to meet with teams from both GenArts and Boris FX and preview the latest new products and technology for professional post-production. Boris FX/Imagineer can be found at Booth 7.K29 and GenArts at Booth 7.J05. Founded in 1995, Boris FX is a leading developer of VFX, compositing, titling, video editing, and workflow tools for broadcast, post-production, and film professionals. Boris FX products have grown to serve over a million artists worldwide. The company’s success lies in its ability to tightly integrate and leverage technologies through strong partnerships with Adobe, Apple, Avid, Grass Valley, Nexidia, Sony, Quantel, and other leading developers of video editing software. GenArts, Inc. has been a leading global provider in specialized visual effects software for industry standard editing and compositing solutions since 1996. Its flagship product, Sapphire, has become the standard for high-end visual effects creation at leading studio, broadcast, and post-production facilities of all sizes around the world. Imagineer Systems Ltd is the Academy Award-winning developer of visual effects solutions for film, video and broadcast post-production markets. Imagineer Systems has made its mark on such marquee Hollywood blockbuster productions as “Star Wars: The Force Awakens” and the “Harry Potter” series. Imagineer’s flagship product is Mocha Pro: the planar tracking, masking and removal utility. Imagineer Systems was founded in 2000 and its headquarters is located in Guildford, United Kingdom.